Amazon has jumped on the 3D printing bandwagon by creating its first 3D printing shop! In the on-demand Amazon shop, products can be purchased, customised, ordered, 3D printed then delivered right to your door. The shop launched Monday and you can get many items including iPhone cases, home decoration, toys and even a bobble head that looks like you. But here’s the catch. Amazon does not do the actual printing. They have joined forces with 3D printing professionals to start the ball rolling. Companies like Sculpteo and 3DLT to name a couple, are using Amazon to sell their own products. Product photos are available along with grayscale 3D images that you can rotate. However, the 3D images are jerky and not the best and zooming in or out is not allowed. Still, you can get the gist of what you are purchasing. Some of the companies allow customisation. For instance, MixeeLabs allows you to change the colour and add text to their 3D printed wallets. 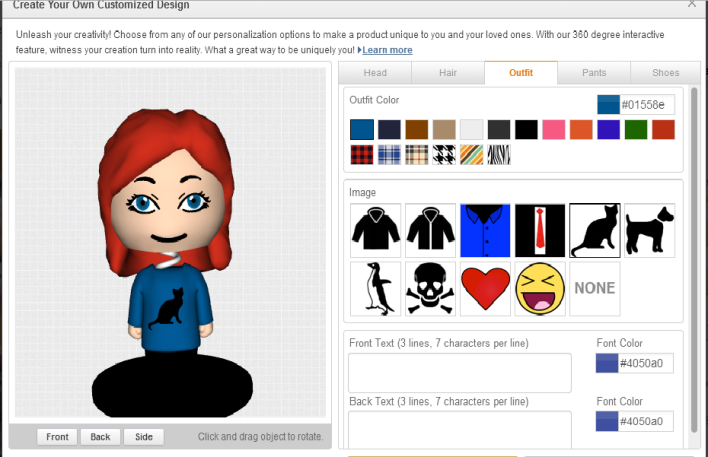 Any items you can customise have orange ‘Personalise Now’buttons on the screen. Perhaps Amazon will allow people to see if 3D printing is really for them. We shall have to wait and see.